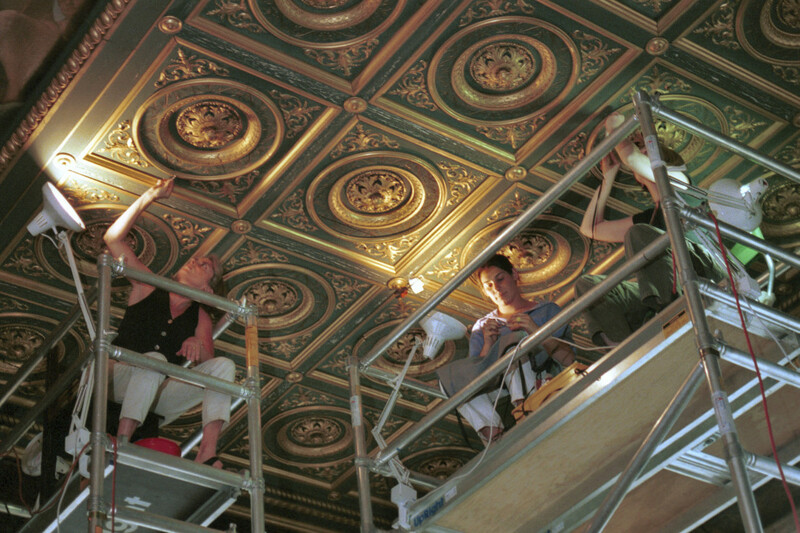 The Veronese Room of the Isabella Stewart Gardner Museum has a gilt, coffered ceiling that was in need of repair. 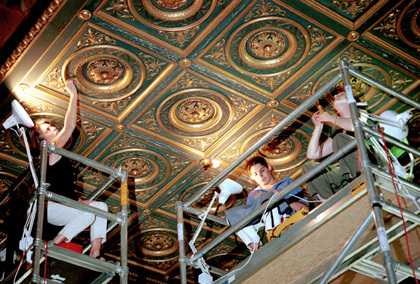 Until recently, the museum lacked climate control; years of heat and humidity had caused the ceiling to become unstable, with peeling gesso and gold. 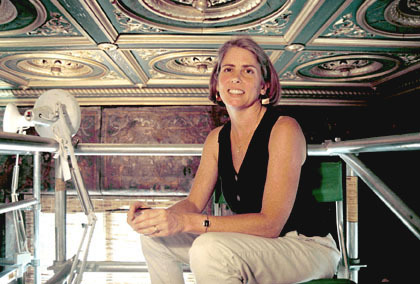 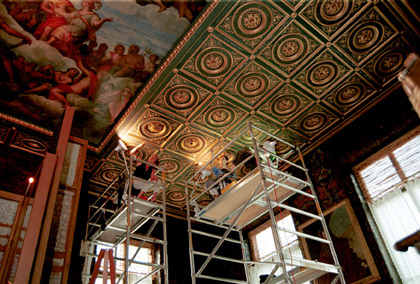 Harvard Art stabilized the ceiling, returning it to an appropriate condition without doing any new gilding. 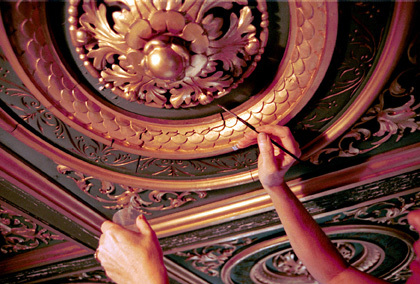 Instead, conservation techniques were used to retain the original gold.